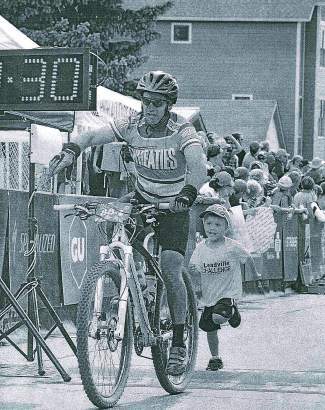 Edward Jonathan Stitt and his son William Jonathan Stitt met at the finish line of the Leadville 100. Edward finished the 100-mile race in nine hours and 30 minutes. Congratulations, Edward!